Look forward to best solutions for HP Pavilion notebook repair from Creative IT. We are a London based company with great experience and reliability in this field. Creative IT offers onsite and offsite HP Pavilion notebook repair service in and around various cities of London. Our clients whether it be business group or individual user has appreciated our customer oriented performance even from the inception. We take full guarantee for what we do. Our technicians are certified and skilled to carry out any HP Pavilion notebook repair. They always update their knowledge to keep pace with the latest developments in the laptop repair industry. So they are confident to take any challenges in HP Pavilion notebook repair service where others panic to perform. Be in touch for professional. Does your HP Pavilion laptop produce some extraordinary sound, turn into blue screen or display faint pictures? Call us for immediate help otherwise the situation may worsen to an unexpected stage. Our technicians will come to your place and try to fix problems on the same day itself. 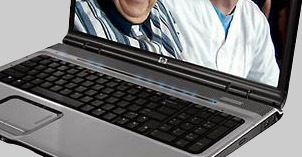 Our onsite HP Pavilion laptop repair charges differ depending on your location and severity of faults. Sometimes the faulty laptop is taken to our full fledged lab in Central London if your HP Pavilion laptop needs extensive repair. endeavour their maximum to repair laptop parts but in some cases HP Pavilion replacement service is inevitable. You can select genuine HP Pavilion laptop peripherals at best prices from Creative IT for easy replacement service. If you have already tried others for IT support you can understand the difference in our HP Pavilion notebook repair service in London, UK. We have by now gained customer satisfaction and credibility for our time bound HP Pavilion laptop service. You can communicate over phone at 020 7237 6805 to know more about our expert HP Pavilion notebook repair. Alternatively, you can email us at info@creativeit.tv.